Ah! One of my most favorite verses! So much richness and what I long for daily in my life. 10 So that you may surely learn to sense what is vital, and approve and prize what is excellent and of real value [recognizing the highest and the best, and distinguishing the moral differences], and that you may be untainted and pure and unerring and blameless [so that with hearts sincere and certain and unsullied, you may approach] the day of Christ [not stumbling nor causing others to stumble]. 11 May you abound in and be filled with the fruits of righteousness (of right standing with God and right doing) which come through Jesus Christ (the Anointed One), to the honor and praise of God [that His glory may be both manifested and recognized]. When Holley Gerth opened up discussion for this prompt: What does ‘excellence’ mean or look like to you?, The light bulb went off in my head because of the Philippians Scripture! In my Sunday morning Bible Study group, our leader read Scripture after Scripture about God being faithful to keep His promises to us, and to always be with us. Then a precious friend asked the leader how all of the Word he read to us showed up in a practical way in his life. I won’t go in to what he said, but my friend’s question made me stop and think of all Scripture in that light; what practical ways has God’s Word shown up in my life?! I mean…”Pursuing What Is Excellent” IS the name of this space. 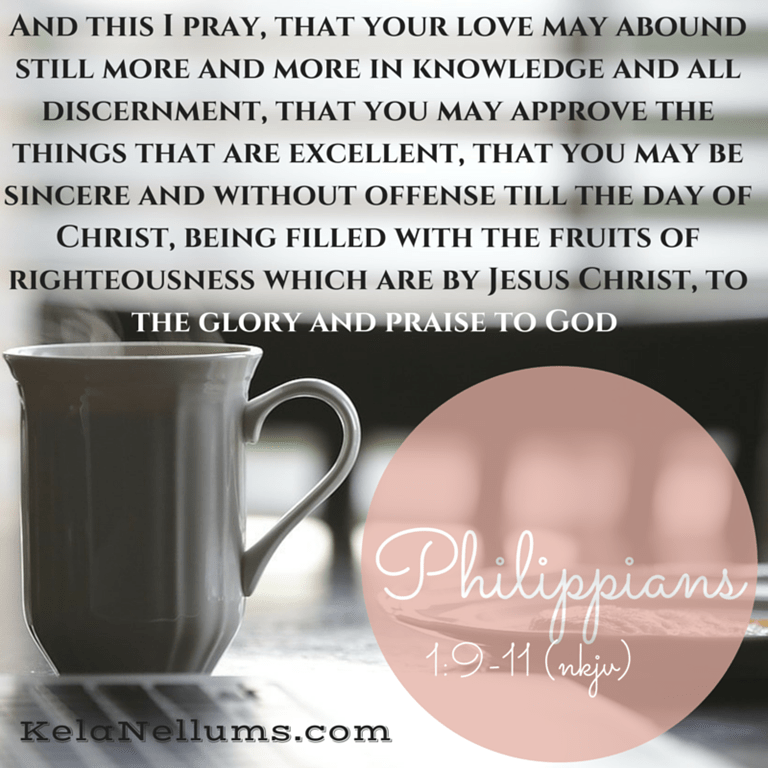 All the words of Philippians 1:9-11 came flying at me! To me, EXCELLENCE looks like diligence. 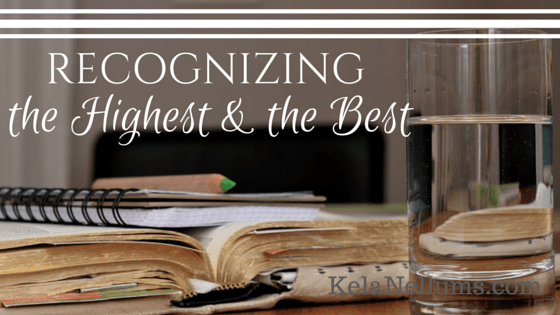 Excellence isn’t always immediate…well, at least not for me. I had an old nature that I had to get rid of! Righteousness is instant. Holiness takes time. Excellence should be in small things and big things; the things that are honoring to God and other people. The look of excellence is deciding to put that buggy (that’s shopping cart to most of y’all) back in the cart corral. The look of excellence is picking that fallen box of cake mix up off the grocery store floor that everyone steps over. The look of excellence is meeting that deadline even when you don’t have a manager breathing down your neck. The look of excellence is being obedient to God’s Word and preferring His will over our own. Let’s open up conversation! What does excellence look like to you?